debt reorganisation of natural persons. A court may proclaim a debtor bankrupt when there is prima facie evidence that shows that the debtor has ceased to make payments. If a creditor petitions for the debtor’s bankruptcy, the creditor also has to show prima facie evidence of his or her claim against the debtor. Pursuant to Dutch bankruptcy law, a debtor has ceased to make payments when the following criteria are satisfied: there have to be multiple creditors and at least one of the creditors’ claims is due and payable; and the debtor has to have stopped making payments. At EU level, there are a number of different legislative frameworks in operation in the insolvency context, but by far the most important is the Recast Regulation on Insolvency Proceedings (Regulation (EU) 2015/848 of the European Parliament and of the Council of 20 May 2015) (the Recast Regulation). We refer to the European Union chapter, which discusses the Recast Regulation in more detail. We note that there are specific provisions in the Dutch Bankruptcy Act for the bankruptcy of clearing systems and settlement, credit institutions and insurance companies and that suspension of payments does not apply to credit institutions and insurance companies. Instead, there is specific emergency regulation that applies to credit institutions, and insurance companies pursuant to the Dutch Financial Supervision Act (the DFSA), which provisions are based on Directive 2014/59/EU (on the reorganisation and winding up of credit institutions and investment firms (the BRRD)) and Regulation (EU) 806/2014 (establishing uniform rules and a uniform procedure for the resolution of credit institutions and certain investment firms (the SRM)). For more detail on the BRRD and the SRM, please see question 4 and the European Union chapter. Dutch courts cannot open insolvency proceedings against a foreign state. Although the Dutch Bankruptcy Act does not contain exceptions, it is unlikely that insolvency proceedings could be opened against the Dutch state and local authorities, such as municipalities and provinces. For other Dutch governmental organisations this is less clear. rights of a highly personal nature (such as for instance a right under an occupational pension scheme). In certain situations, it may prove difficult to determine whether an asset is excluded from insolvency proceedings. All relevant circumstances of each individual case may be relevant. Also, in certain cases the cooperation of third parties may be important; for instance, in situations in which third parties will need to surrender their rights. All entities in the sphere of private law can be declared bankrupt in accordance with the Dutch Bankruptcy Act. It is not certain if governmental bodies and administrative authorities of such entities can be declared bankrupt. However, the bankruptcy estate will not include assets that are destined for public service. Dutch law also provides for lower governmental bodies qualifying for supplemental support from the state, subject to those bodies relinquishing part of their financial policy autonomy to the state. The BRRD and the SRM have created an EU legislative framework that deals with the failure of credit institutions and investment firms. The BRRD and the SRM are key components of the Banking Union’s ‘single rulebook’ regulatory framework, which also applies in the Netherlands jurisdiction. The BRRD was implemented in the Netherlands in early 2016. For more detail on the BRRD and the SRM, please see the European Union chapter. The BRRD is a (minimum harmonising) EU directive and provides authorities with a common approach and a wide range of measures that can be taken to deal with failing credit institutions and investment firms. These measures can be divided over three phases: the preparatory and preventative phase; early intervention phase; and resolution phase. The SRM is an EU regulation that is closely connected to the BRRD and creates a centralised resolution system for dealing with failing banks. The regulation has direct effect and prevails over national law. The SRM confers special authority and powers to a new EU-level authority, the Single Resolution Board (SRB). Under the supervision of the SRB, each national resolution authority (in the Netherlands: the Dutch Central Bank) will be in charge of the execution of a resolution scheme. With respect to the recovery and resolution of failing insurers, a legislative proposal is pending before the Dutch Senate. The proposal amends the Dutch Financial Supervision Act and the Dutch Bankruptcy Act and provides the Dutch Central Bank with more resolution tools and a wider authority in order to be able to take action on an individual basis regarding failing insurers. See ‘Update and trends’ for more information on this legislative proposal. The BRRD has been implemented in the Netherlands through the Dutch Implementation Act for the European Framework for the Recovery and Resolution of Banks and Investment Firms (the Dutch Recovery and Resolution Implementation Act), which entered into force on 1 January 2016. The Dutch Recovery and Resolution Implementation Act also purports to facilitate the application of the SRM. The act, however, only covers areas of the BRRD that are not specifically provided for in the SRM (because of the direct applicability of the SRM). Therefore, both the SRM and the Dutch Recovery and Resolution Implementation Act need to be consulted to gain insight into the implementation and application of the new EU legislative framework within the Netherlands. The SRM and the Dutch Recovery and Resolution Implementation Act both replace - for a large part - the Dutch Intervention Act, which was the previous legislative framework. The Dutch Intervention Act provided similar prevention, intervention and crisis management tools for distressed financial institutions that were deemed too big to fail (although the Dutch Intervention Act has largely been replaced by the new legislation, it is still relevant, see below). Under the Dutch Recovery and Resolution Implementation Act, various amendments have been made to, among others, the DFSA, the Dutch Civil Code and the Dutch Bankruptcy Act. A large part of the most significant changes can be found in the DFSA, which introduces - among other things - a new sub-Chapter (3A) entitled ‘Special Measures and Provisions regarding Financial Undertakings’. The Dutch Recovery and Resolution Implementation Act mirrors the same three-phase approach as set out in the BRRD (and SRM) - namely, the preparatory and preventative phase, the early intervention phase and resolution phase. In conjunction with the SRM, the Dutch Recovery and Resolution Implementation Act provides specific rules and tools for each of those phases with respect to banks and investment firms (or groups containing such a bank or investment firm) that are based within the Netherlands. With regard to the preparatory and preventative phase, there are new rules regarding recovery plans, intragroup financial support and resolution plans (which are prepared by the national resolution authority (ie, the Dutch Central Bank)). With respect to the early intervention phase, new intervention tools are provided to the resolution authority that aim to prevent the need for resolution of the bank or investment firm. Such early intervention tools include the supervisory authority instructing the relevant institution to implement a recovery plan, or to replace or remove members of its senior management or management body. Under certain circumstances it shall also be possible to appoint a temporary administrator, whose powers and authority shall be decided on a case-by-case basis. With regard to the resolution phase, the resolution authority is responsible for determining when and how a bank or investment firm becomes subject to resolution, provided that: the entity is failing or is likely to fail; there is no reasonable prospect that any alternative private sector measure or supervisory action would prevent the failure of that entity; and a resolution action is necessary in the public interest. If these conditions are met, then the resolution authority may resolve to write down and convert capital instruments of the failing entity. If the resolution authority anticipates that the sole write-down and conversion of the capital instruments is insufficient to restore the financial soundness of the entity, then the resolution tools (individually or combined) may be applied: the sale of business and the bridge institution. For further information on each of these tools, please refer to the European Union chapter. The bail-in tool is a new provision under Dutch law, but the nationalisation of Dutch bank and insurer SNS Reaal (on 1 February 2013) effectively also involved a bail-in of subordinated debt of SNS Reaal and SNS Bank-issued debt instruments. When a failing entity becomes subject to prevention or crisis management measures taken by the resolution authority, the Dutch Recovery and Resolution Implementation Act provides that under certain conditions the resolution authority is allowed to unilaterally terminate or amend contracts with third parties. Subject to certain requirements, the resolution authority may also decide to suspend payment or delivery obligations, or restrict/suspend the exercise of contractual termination rights (which also includes rights to accelerate, close-out, set-off or net) and security interests. These powers aim to enhance the effectiveness of the resolution tools. Note that some of these suspension powers are only applicable if the possibility for the counterparty to exercise their right is a result of a crisis prevention measure or crisis management measure, or any event directly linked to the application of such a measure. Furthermore, some suspension powers can only be applied temporarily. Finally, in some situations the use of these suspension powers is only allowed if the failing entity continues to meet the key obligations under the relevant contract, including the provision of collateral. The European Union legislative framework provides for several safeguards to protect the position of shareholders and creditors of a failed entity in the event that the resolution authority decides to use resolution tools. One of these is the ‘no creditor worse off’ principle. For further details on these, please refer to the European Union chapter. Another safeguard entails the protection of counterparties in certain agreements (ie, security arrangements, financial collateral arrangements, set-off arrangements, netting arrangements, covered bonds and structured finance arrangements) who are confronted with the partial transfer of assets, rights and liabilities of a failed entity under resolution or in the event of forced contractual modifications (ie, amendment or termination). The Dutch Recovery and Resolution Implementation Act protects these counterparties by providing that the rights under those agreements may not be affected by such partial transfer. This means that if the resolution authority has decided to apply a partial transfer or if contractual modification takes place, then the resolution authority may not apply such partial transfer or contractual modification to certain agreements (such as set-off arrangements or financial collateral arrangements). Further, the resolution authority will also: not transfer an asset against which a liability is secured without also transferring the liability and the benefit of the security; not transfer a secured liability unless the benefit of the security is also transferred; or only transfer assets and liabilities jointly if they relate to a structured finance arrangement or covered bond. While the new EU framework has led to significant legal changes in the Netherlands, the previous Dutch legislative framework that dealt with distressed financial institutions (the Dutch Intervention Act, which entered into force on 13 June 2012), still has relevance. Firstly, it is still relevant because the new EU framework only applies to banks (and investment firms). Therefore, many provisions of the Dutch Intervention Act still apply to insurers, such as the authority of the Dutch Central Bank to, through a court order, transfer assets and liabilities of or shares in an insurer (note, however, that a legislative proposal is pending before the Dutch Senate, which will provide resolution tools to the Dutch Central Bank, specifically aimed at insurers - see ‘Update and trends’ for more information). Secondly, even though the new legislation has largely replaced the bank-related provisions in the Dutch Intervention Act, the special intervention powers that were granted to the Minister of Finance under the Dutch Intervention Act remain in place (see Chapter 6 of the DFSA). These powers include the power to transfer the deposits of banks, other assets and liabilities of a bank or insurer as well as the issued shares in the capital of a bank or insurer, and the power to expropriate assets or shares held in a bank or insurer. Note that the Dutch legislator has stated that it considers these measures of the Dutch Intervention Act to be emergency legislation, which means that they are allowed to remain in place, despite the direct applicability of the SRM in the Netherlands. However, application of the SRM has priority over Dutch law. Therefore, the intervention powers granted to the Minister of Finance are seen as a ‘last resort’ and shall only be applied under extraordinary circumstances, which diminishes the importance of the ‘old’ intervention measures for banks under the Dutch Intervention Act. The district court of the district where the debtor is or was last domiciled (for companies, this is the place of the statutory seat) has exclusive jurisdiction to open insolvency proceedings. If the debtor is not domiciled in the Netherlands, but has or had an establishment in the Netherlands, the district court of the district in which the establishment is or was located has exclusive authority to open the insolvency proceedings. if a bankruptcy application is rejected by the court, then the applicant (either a debtor who applied for his or her own bankruptcy, a creditor or the Public Prosecution Service) are each entitled to lodge an appeal against that decision with the court of appeal within eight days after the date of the rejection (note that this appeal option is not open to a creditor that did not file for the debtor’s bankruptcy). a creditor that did not file for the debtor’s bankruptcy or any other interested party also has the right to oppose a bankruptcy declaration. For such parties, the opposition term expires eight days after the day of the bankruptcy declaration. If the court upholds the bankruptcy declaration in these opposition proceedings, then the creditor or interested party may lodge an appeal against that judgment with the court of appeal, within eight days of the day of the court’s decision on the opposition. if the opposition by a creditor or interested party is granted and subsequently the initial decision to declare the debtor bankrupt is annulled, then the debtor, the creditor who filed the bankruptcy request, or the Public Prosecution Service have the right to appeal against that decision within eight days. If any of the appeal or opposition scenarios set out above lead to a decision by the court of appeal, then that decision can also be appealed against by anyone who was a party to the appeal procedure. Such an appeal must be lodged with the Supreme Court, within eight days of the day of the decision by the court of appeal. There is no statutory requirement to post security when bringing an appeal before a Dutch court. A defendant can request the court to order the claimant to post security for payment of the litigation costs (usually by way of a bank guarantee), but only if the claimant does not live (or has an office) in the Netherlands. However, there are numerous exceptions to this rule. For instance, if the claimant is from a country in which the EU Enforcement Regulation or the Civil Procedure Convention 1954 is applicable, then such request cannot be made. Also, under certain circumstances ordering a party to post security can be a violation of the ‘equality of arms principle’. Because of the various exceptions, the practical use of the possibility for a defendant to request the court to order the claimant to post security is limited. Principally, a debtor can only implement a voluntary liquidation of its business in accordance with general corporate procedures if it is able to pay its debts or if it can agree a composition with its creditors. The relevant corporate procedure is liquidation by means of dissolution, whereby the shareholders’ general meeting adopts a resolution to dissolve the company (see question 14). The Dutch Bankruptcy Act also allows the debtor itself to request bankruptcy as a means to liquidate its assets. The directors of a company can only file for bankruptcy if the shareholders’ general meeting instructed them to do so, unless the articles of association provide otherwise (see question 9). A ‘suspension of payments’ is the Dutch voluntary reorganisation proceeding for companies, legal entities and for natural persons conducting a business. The debtor can apply to the court for a ‘suspension of payments’ if it anticipates that it will be unable to pay its debts as they fall due. The directors of a company can request a ‘suspension of payments’ and they do not need the approval of the shareholders’ general meeting, unless the articles of association provide otherwise. Following the application, the court will grant a preliminary ‘suspension of payments’ and will appoint an administrator and also, in practice, a supervisory judge. The supervisory judge has a limited advisory role. The directors need the prior approval or cooperation of the administrator to enter into obligations that affect the assets of the company. A ‘suspension of payments’ can be granted for a maximum of three years. It only has an effect on ordinary creditors, who are not allowed to enforce payment of their claims. Preferential and secured creditors are not affected, unless a cooling-off period has been granted (see questions 44 and 45). Debtors can negotiate compositions with creditors outside insolvency proceedings. The disadvantage is that there are - except in rare situations - no opportunities to force a creditor to accept a general composition and that the composition is not court-supervised or approved. We note that a proposal is being considered to amend the suspension of payments procedure as part of the Continuity of Companies Act III (see ‘Update and trends’). In practice a process has been developed, which is used regularly and as part of which the debtor seeks the appointment of a bankruptcy trustee designate by the court in the period before the formal insolvency filing with a view to investigating restructuring options or to prepare for a formal filing, or both. The bankruptcy trustee designate is appointed by the court prior to the commencement of a formal insolvency procedure. The debtor and its stakeholders (creditors, including lenders) act on the assumption that the bankruptcy trustee designate is to be appointed by the court as the insolvency office holder once a formal insolvency procedure is opened. The pre-pack procedure has now been codified in a legislative proposal, the Continuity of Companies Act I, which is currently being reviewed by the Dutch Senate. The June 2017 European Court of Justice (ECJ) decision in FNV v Smallsteps BV (C-126 16) (the Smallsteps case) has shed light on the applicability of the transfer of undertaking rules for employees (as laid down in the EU Directive on transfer of undertakings) within the framework of the Dutch pre-pack. After the Smallsteps case, two decisions have been rendered by the Dutch court in appeal proceedings, in which the Smallsteps decision has been taken into account. See ‘Update and trends’ for more information and more background on the ECJ’s decision in the Smallsteps case, the recent decisions by the Dutch court of appeal and the status of the legislative proposal. A reorganisation outside of insolvency will only be binding upon those creditors that agree to the plan. Only in very specific situations, where it would be wrongful not to vote in favour of the plan, for example, if the creditor in all reasonableness should not have refused to cooperate as it abuses its position in doing so, is it possible to force a creditor to accept the plan by a court order to that effect. To date the Dutch High Court has rejected many attempts to claim such an abuse of position. A draft legislative proposal has been prepared, which introduces a procedure for a compulsory composition outside of formal insolvency proceedings. The original legislative proposal, which was announced in 2014 as the Continuity of Companies Act II, has been significantly amended and a new proposal was launched in September 2017 (the Act on Court Approval of Schemes to Avoid Bankruptcy). This new proposal offers an efficient and fairly informal process to effect a compulsory composition between the company and all or certain of its (secured) creditors or shareholders. See ‘Update and trends’ for more information about this legislative proposal. A reorganisation plan may be proposed by the debtor in a bankruptcy or in a ‘suspension of payments’. There are no mandatory features of a reorganisation plan except that it should take into account the statutory grounds for rejection (see below). A successful reorganisation, however, often relies upon preparation and securing the cooperation and commitment of major creditors to it before filing for a suspension of payments. A plan that is accepted by a majority of creditors, as set out below, and approved by the court, will be binding on all unsecured creditors (regardless of whether or not they submitted their claims and whether or not they voted in favour of or against the plan). Preferential and secured creditors are not bound by the plan, unless they so agree. Unsecured creditors that submitted their claims (which were accepted or conditionally admitted) and are present at the meeting of creditors must approve the plan by a simple majority representing at least 50 per cent of the total value of the unsecured claims against the debtor. If the required majority do not vote in favour of the plan, the supervisory judge may, upon request, nevertheless approve the plan if at least 75 per cent of those creditors who submitted their claims (which were accepted or conditionally admitted) approved the plan, provided that the rejection of the plan is because of one or more creditors who could not reasonably have been expected to vote against the plan. there are any other grounds why the court believes that the plan should not be approved. Acceptance of a reorganisation plan does not automatically result in a release in favour of third parties. Any type of release in favour of third parties will need to be specifically negotiated and agreed. A court may proclaim a debtor bankrupt when there is prima facie evidence that shows that the debtor has ceased to make payments. If a creditor petitions for the debtor’s bankruptcy, the creditor also has to show prima facie evidence of his or her claim against the debtor. Pursuant to Dutch bankruptcy law, a debtor has ceased to make payments when the following criteria are satisfied: there have to be multiple creditors and at least one of the creditor’s claims is due and payable; and the debtor has to have stopped making payments. A debtor can be declared bankrupt when it has ceased to pay its debts (see above). A creditor petitioning for a debtor’s bankruptcy should therefore provide prima facie evidence that it has a claim against the debtor, the debtor has ceased paying its debts and there is at least one other creditor. If the court declares the debtor bankrupt, the court will appoint at least one bankruptcy trustee and a supervisory judge. Once the bankruptcy proceeding has been opened, there is no material difference to voluntarily opened proceedings. With retroactive effect from midnight as of the date of the bankruptcy judgment, the debtor is no longer authorised to manage and dispose of its assets. Only the bankruptcy trustee may do so. The trustee is charged with the administration and liquidation of the bankrupt estate. The trustee needs the approval of the supervisory judge for certain acts, including the disposal of assets, termination of employment agreements and initiation of legal proceedings. During bankruptcy there is a general moratorium and ordinary and preferential creditors may no longer enforce their claims against the debtor’s assets. Secured creditors are in general not affected by bankruptcy, except during a cooling-off period (see questions 44 and 45). In addition, there is the possibility for the bankruptcy trustee to set a time frame wherein the secured assets need to be sold by the mortgagee or pledgee. Failure to do so will result in loss of the right to foreclose on the assets (although their claims will continue to have a high preference, they will have to share in the costs of the bankruptcy). Apart from bankruptcy, the Dutch Civil Code also allows the relevant chamber of commerce or district court to dissolve a company if it has consistently failed to comply with certain statutory obligations. Creditors cannot force or direct a reorganisation. However, if a bankruptcy petition is presented against the debtor, it can counter with a request for a ‘suspension of payments’ by the debtor, often with the aim of avoiding bankruptcy for as long as possible. By law, a petition for a ‘suspension of payments’ is dealt with before a petition for bankruptcy. Note that creditors will have the ability to propose a plan under the newly proposed Act on Court Approval of Schemes to Avoid Bankruptcy. Officially, there is no special provision for expedited reorganisations. However, in practice, bankruptcies are regularly pre-packaged in the sense that sale of the business to a newly incorporated entity is organised. A pre-pack takes place through the appointment of a bankruptcy trustee designate, who is appointed by the court at the request of the business. The court will test whether the appointment of a bankruptcy trustee designate is justifiable. This procedure has been developed in the legal practice but lacked a statutory foundation. A legislative proposal that intends to codify this procedure was adopted by the Dutch Lower House in 2016. See ‘Update and trends’ for more information on the legislative proposal for the Dutch pre-pack. A dissenting creditor can decide not to take part in a reorganisation that takes place outside of insolvency. Save for exceptional situations, he or she will not be bound by any plan agreed with other creditors. In case of a pre-pack, the debtor’s creditors, the bankruptcy trustee designate or the intended supervisory judge are each entitled to request the court to terminate the pre-pack procedure. Please see ‘Update and trends’ for more information about the legislative proposal on the pre-pack. Note that a legislative proposal has been launched in September 2017 (the ‘Act on Court Approval of Schemes to Avoid Bankruptcy’). This proposal will introduce a fast and efficient procedure to restructure the company’s business through a scheme between the company and all or certain of its (secured) creditors or shareholders. See ‘Update and trends’ for more information about this legislative proposal. A reorganisation plan in insolvency proceedings is defeated if the majority of creditors does not approve the plan or the court does not approve the plan. In the case of a suspension of payments, the court must terminate the suspension of payments and declare the debtor bankrupt (see question 8). If the debtor does not perform the plan after it has been approved by the court, the plan can be dissolved and the court will open or reopen the bankruptcy proceedings. Yes. Under corporate law a company can be dissolved. In most cases, the company is dissolved pursuant to a shareholders’ resolution. The shareholders will appoint a liquidator, who will liquidate (all assets of) the company. However, if it becomes apparent that the liabilities of the company will exceed the assets of the company, the liquidator is obliged to file for the bankruptcy of the company, unless all known creditors agree with the continuation of the corporate liquidation proceedings. An important difference to bankruptcy is that the corporate liquidation proceedings are, in principle, not court-supervised. Voluntary liquidation (see question 6) terminates as a result of: a declaration of bankruptcy being made pursuant to an application for bankruptcy by the liquidator; or payment of the final distribution to creditors and shareholders of the company being made. payment of all debts at the request of the debtor. a final distribution to creditors being made if the list concerning the distribution to creditors has become definitive, regardless of whether all creditors have been paid. The insolvency test in the Netherlands is an open criterion, satisfaction of which must be established on the facts at hand. There is no ‘binary’ balance sheet or cash-flow insolvency test. A court may proclaim a debtor bankrupt when there is prima facie evidence that shows that the debtor has ceased to make payments (please also see questions 1 and 9). If a creditor petitions for the debtor’s bankruptcy, the creditor also has to show prima facie evidence of his or her claim against the debtor. Pursuant to Dutch bankruptcy law, a debtor has ceased to make payments when the following criteria are satisfied: there have to be multiple creditors and at least one of the creditors’ claims is due and payable; and the debtor has to have stopped making payments. There is no specific statutory obligation for managing directors to file for bankruptcy or seek a suspension of payments. However, in certain circumstances, managing directors or shareholders may be personally liable in tort towards creditors of the company if they decided to continue the business past a certain point in time (and that decision resulted in damage to the creditors). Other than under certain circumstances of personal liability for the directors, there are no consequences if a company carries on business while insolvent, save for a Dutch public limited liability company, which is obligated to call a shareholders meeting if it has negative equity. In practice however, directors may decide to file for a suspension of payments or bankruptcy to mitigate the risk of incurring personal liability in a scenario where failing to do so would likely cause damage to creditors. In addition, note that directors are obliged to notify the tax authority in writing in case the company is no longer able to pay certain taxes, social security premiums or pension fund premiums. Please see question 17. See answer to question 16. Personal liability can result because the directors have neglected to properly discharge their fiduciary duties as regards the company. This action can only be initiated by or on behalf of the company (and in the case of bankruptcy, by the bankruptcy trustee on behalf of the company). Upon bankruptcy (but not in the case of a suspension of payments), the bankruptcy trustee can hold all directors of a company personally liable on a joint and several basis for the entire deficit of the bankruptcy (ie, for all costs of the bankruptcy and the amount of debt that remains unpaid after liquidation of the assets) if the board of directors has manifestly improperly performed its duties during a period of three years preceding the bankruptcy, and if it is plausible that such improper performance is an important cause of the bankruptcy of the company. If the board of directors has failed to comply with its obligation to conduct a proper administration or to publish the annual accounts in accordance with statutory requirements, the directors are deemed to have performed their duties improperly and it is presumed that the improper performance of duties constitutes an important cause of the bankruptcy. This ground for personal liability applies not only to managing directors but also to non-executive directors (supervisory board directors; if, for example, they have failed to properly supervise the managing directors in relation to their obligations to maintain a proper administration and file annual accounts in a timely manner). Directors can be held personally liable for unpaid taxes and social security or pension fund premiums. In particular, directors of a company in financial distress must notify the tax authorities in writing if the company is no longer able to pay certain taxes (including VAT, and wage withholding tax), and social security or pension fund premiums that are due. This notification should be made within two weeks of the date that the taxes and social security or pension fund premiums should have been paid, and a failure to do so may result in the directors being held jointly and severally liable if the taxes and social security or pension fund premiums remain unpaid. If a valid notice has been given, directors will only be liable if they have manifestly performed their duties improperly during a period of three years preceding the bankruptcy and if it is plausible that such improper performance is an important cause of the bankruptcy of the company. Directors (and even shareholders) may, in certain circumstances, be liable to creditors of the company or other parties on the basis of tort, for example, if the directors created a false representation of creditworthiness of the company or knowingly entered into transactions when they knew or ought to have known that the company was not going to be able to perform its obligations. Criminal liability may apply, for instance, in situations where managing directors fraudulently withheld assets of the company from the bankruptcy trustee or manipulated the accounts of the company to deceive investors or creditors. Because of recent legal developments in the Netherlands, the bankruptcy of a company can - under certain circumstances - have severe legal consequences for its directors if directors’ duties have not been properly observed. Following the entry into force of the Director Disqualification Act on 1 July 2016, the Dutch Bankruptcy Act now grants the bankruptcy trustee or the Public Prosecution Service the authority to request the court to disqualify a director of a bankrupt company for a maximum duration of five years, if certain acts have been perpetrated by the director. A director who is disqualified following such a request is prohibited to act as a director of a legal entity for the duration set out in the court order. In addition, the Penalisation of Bankruptcy Fraud Amendment Act entered into effect on 1 July 2016. This amendment act extended the scope of the criminal liability of (supervisory) directors, for instance to situations where: a director fails to keep a proper administration of the company or, in the event of bankruptcy, intentionally does not provide the bankruptcy trustee with such administration; and a director excessively uses, withholds, disposes of the company’s assets and resources or has granted a creditor an undue preference, which prejudices one or more creditors of the company. Yes, it is generally held that once the company is in financial difficulties, there is a shift in the focus of the directors’ duties towards the interests of the company’s creditors, depending on the circumstances of the case at hand. If the reorganisation takes place outside the scope of formal insolvency proceedings, the normal rules of representation will remain effective. This would apply to the pre-pack procedure as well. During the pre-pack phase, the debtor remains authorised to manage and dispose of its assets. If the reorganisation occurs in the context of a ‘suspension of payments’, the managing directors need the prior approval or cooperation of the administrator to enter into obligations that affect the assets of the company. If a bankruptcy trustee continues a contract with a supplier in a ‘suspension of payments’, the supplier may request a bankruptcy trustee to provide security for the obligations of the debtor, which the bankruptcy trustee must then do. Upon bankruptcy, only the court-appointed bankruptcy trustee is entitled to dispose of the assets of the debtor. The trustee needs the approval of the supervisory judge for certain acts, including continuation of the business of the debtor and a sale of assets. If a bankruptcy trustee continues a contract with a supplier after bankruptcy, the bankruptcy trustee is obliged to provide security in respect of the obligations of the debtor. The corporate law capacities of the directors remain unaltered (for example, capacity to convene a shareholders meeting, to appoint directors, to deposit accounts with the trade register), however the directors no longer have the power to bind the company. The Dutch Bankruptcy Act allows for the appointment of a creditors’ committee by the supervisory judge to advance the interests of the creditors that has certain powers to supervise and advise on the settling of the estate by the bankruptcy trustee. Such a creditors’ committee can be appointed if the importance or nature of the estate provides a cause to do so. The task of the creditor’s committee is to give advice and exercise (if necessary) any of the specific powers given to it (for example, to file an objection against any act of the bankruptcy trustee with the supervisory judge). The reason for having such a creditors’ committee is to allow a greater degree of involvement by the creditors. However, in practice, creditors’ committees are rarely appointed. As a result of the bankruptcy order, there is an automatic stay, and legal proceedings that require the performance of an obligation by the debtor are suspended. Only a limited number of legal proceedings, for example, where a supplier claims or reclaims ownership, are not affected by the bankruptcy judgment and these can be continued. Secured creditors are not affected by the stay, unless a cooling-off period is ordered by the court (see questions 45 and 46). In a ‘suspension of payments’, there is only a limited stay unless a cooling-off period is ordered by the court (see questions 45 and 46). Preferential and secured creditors are, in the absence of a cooling-off period, not affected by the suspension of payments. Even unsecured ordinary creditors can initiate or continue legal proceedings, although they cannot foreclose a judgment against the assets of the debtor to enforce payment. Upon bankruptcy, only the court-appointed bankruptcy trustee is entitled to dispose of the assets of the debtor. The trustee needs the approval of the supervisory judge for certain acts, including continuation of the business of the debtor and a sale of assets. In addition, in a recent decision the Dutch Supreme Court has confirmed that the bankruptcy trustee shall also need to consult with the works council of the company. If a company has 50 or more employees, then the managing directors are in principle obligated to set up a works council. A works council has certain consultation rights under Dutch employment law, such as the right to be consulted about proposed reorganisations. In its decision of 2 June 2017, the Dutch Supreme Court confirmed that the consultation rights of a works council should in principle not be affected by the bankruptcy of the company, meaning that when the bankruptcy trustee makes decisions regarding the continuation or relaunch of (part of) the business, he or she is in principle obligated to consult the works council (however, the court also notes that the special nature of the insolvency process must be taken into consideration in the works council consultation process and timelines). If a bankruptcy trustee continues a contract with a supplier after bankruptcy, the bankruptcy trustee is obliged to provide security in respect of the obligations of the debtor. The corporate law capacities of the directors remain unaltered (for example, capacity to convene a shareholders meeting, to appoint directors, to deposit accounts with the trade register); however, the directors no longer have the power to bind the company. The Dutch Bankruptcy Act allows for the appointment of a creditors’ committee by the supervisory judge to advance the interests of the creditors that has certain powers to supervise and advise on the settling of the estate by the bankruptcy trustee. Such a creditors’ committee can be appointed if the importance or nature of the estate provides a cause to do so. The task of the creditors’ committee is to give advice and exercise (if necessary) any of the specific powers given to it (for example, to file an objection against any act of the bankruptcy trustee with the supervisory judge). The reason for having such a creditors’ committee is to allow a greater degree of involvement by the creditors. However, in practice, creditors’ committees are rarely appointed. The managing directors can, with the consent of the administrator, obtain loans or credit. Credit granted during a ‘suspension of payments’ does not automatically have a high ranking, but in practice will often be fully secured. The bankruptcy trustee can obtain loans or credit. The obligations arising as a result of these loans or credit extended to the trustee in bankruptcy are considered to be estate claims and they have a high ranking. Security can be granted over assets to secure repayment. In a ‘suspension of payments’, only the directors and the court-appointed administrator acting jointly will be able to bind the company and dispose of assets of the company (see question 7). There is no distinction between the sale of assets within or outside the ordinary course of business; therefore, claims may in certain cases pass with the assets. Upon bankruptcy, only the court-appointed bankruptcy trustee can dispose of the debtor’s assets. The sale of assets can take place by way of a public sale or a private sale. The bankruptcy trustee needs the approval of the supervisory judge for a private sale of assets. Additionally, in recent Dutch case law (see also question 22) it was confirmed that a bankruptcy trustee of an insolvent company that has a works council installed, must respect the consultation rights of the works council (in accordance with the Dutch Works Council Act) if it regards a sale of assets with a view to continue or relaunch (part of) the business of the insolvent company. Often, depending on the method of sale chosen by the bankruptcy trustee, assets can be transferred free and clear of third party rights, for instance, when a bankruptcy trustee sells real estate or assets for the benefit of a mortgagee or pledgee. In other circumstances however, third-party rights may pass with the assets, for example, rights of a tenant leasing a property that is sold. Based on case-law from lower Dutch courts, the bankruptcy trustee is obliged to investigate carefully the value of the assets in order to obtain the highest proceeds for such assets, meaning that he or she should look for alternative bidders should the received bids not be reasonable. The bankruptcy trustee may be liable when he or she intentionally prejudiced the creditors in any way. Although not specifically referred to in the Dutch Bankruptcy Act, credit bidding in sale procedures is not unknown in the Netherlands (see question 25). In the Netherlands, there is no legal basis for ‘stalking horse bids’ during a pre-bankruptcy scenario (as opposed to other jurisdictions, such as the United States). However, in the Dutch pre-pack procedure, which lacks a statutory basis but has been developed in practice (see also question 7), an asset deal is usually ‘pre-packaged’ through negations between the debtor and a potential buyer, who then buys the assets from the bankrupt estate after the debtor is declared bankrupt. Holders of security rights over assets in a bankruptcy estate are able to exercise their rights as if no formal insolvency procedure has occurred. They are able to proceed to an enforcement sale of the assets in accordance with the statutory rules regarding enforcement sales. An enforcement sale can take place by way of a public sale (auction) or private foreclosure sale. An appropriation of the assets by the security holder is prohibited. However, the holder of the security right is allowed to participate in the auction process as a bidder. Note that the entering into of a private agreement by the security right holder in its capacity as purchaser can be subject to court approval. In case the consent of the court is required for the entering into of a private purchase agreement, which includes a credit bid of the security holder, the court has discretionary power to assess whether it should give its approval (depending on the circumstances of the case). In case of an enforcement sale in respect of real estate there is a statutory requirement for the payment of the proceeds in cash to the notary that runs the enforcements process, which limits the ability to credit bid. This, however, does not mean that economically a credit bid cannot be achieved through, for instance, a daylight facility. The requirement that proceeds must be paid in cash to a notary or bailiff does not apply in the case of an enforcement sale of pledged assets. This means that in some instances there may be the possibility to implement a credit bid. Yes. As a general rule, Dutch law provides that contracts continue after insolvency of a counterparty, unless the contract includes an ‘ipso facto’ (or insolvency) clause (pursuant to which the contract automatically terminates (or may be terminated) on insolvency). The Dutch Bankruptcy Act, however, allows the bankruptcy trustee to confirm or terminate executory contracts under which both the debtor and its counterparty have outstanding obligations (where he or she believes that continuation of the contract is not in the best interest of the debtor’s creditors as a whole). Any creditor can request the bankruptcy trustee to confirm within a reasonable time whether a contract will be honoured by the estate. If the bankruptcy trustee does not provide such confirmation, the estate forfeits the rights to request performance of the contract. The contract is considered terminated and the counterparty has an unsecured and non-preferred claim for damages. If the bankruptcy trustee decides to confirm continuation of the contract, the estate must provide security for the proper performance of its obligations, for example a right of pledge, mortgage or personal right (such as surety or a liability statement). The security should be sufficient to cover the claim and if applicable, any related interest and costs, in such a manner that a creditor can effortlessly take recourse. Security may include bank guarantees or the creation of security over unencumbered assets. Typically, a negative pledge undertaking in the finance documentation does not create a limitation. Only to the extent that actual security has been created, for the benefit of the financing bank over the assets, does this create a limitation. After the provision of security, the contract will then have to be performed by both parties. If the bankruptcy trustee breaches such a contract , the creditor will be able to enforce its security rights. For contracts where the estate is not under an obligation to actively perform, but is only required to omit or tolerate, a different regime applies. For these contracts, such as lease contracts or IP licences, the bankruptcy trustee may not simply reject the contract or terminate it, save as specially provided for in the Dutch Bankruptcy Act. This has been confirmed in case law of the Dutch Supreme Court (see question 27). The Dutch Bankruptcy Act contains specific provisions for the termination of certain types of contracts, such as leases and employment contracts. To terminate those types of contracts, the bankruptcy trustee has to take into account fixed notice of terms as set out in the Dutch Bankruptcy Act. As a final note, it is of course also possible that a creditor wishes to terminate a contract because of the debtor’s insolvency. As stated above, if the contract includes an insolvency clause, then the creditor may exercise the termination rights arising from such a clause, as agreed under the contract. However, pursuant to case law of the Dutch Supreme Court (the Megapool/Laser judgment) there are exceptions to this general rule. In Megapool/Laser, the Dutch Supreme Court identified two possible scenarios in which an insolvency clause may be null and void (subject to the context and other circumstances of the case at hand): if (solely) because of the occurrence of the debtor’s insolvency the creditor’s obligation to perform under the contract no longer applies, where the debtor has already performed its obligation, the insolvency clause may be considered to infringe on the central principle of Dutch bankruptcy law that the legal position of creditors is fixed as of the commencement of the bankruptcy; or if exercise of the insolvency clause is contrary to the overriding principle of reasonableness and fairness. Permitting the exercise of insolvency clauses under those circumstances would disproportionately prejudice the other creditors’ recourse options, because an asset of the debtor (ie, its rights under the contract) are being kept out of the estate of the bankrupt debtor solely because of its bankruptcy. We refer to the ‘Update and trends’ in relation to the (currently pending) legislative proposal that will provide for a scheme of arrangements (the Act on Court Approval of Schemes to Avoid Bankruptcy). The position of an IP licence after insolvency has been the subject of fierce debate in both academic circles and within the Dutch courts. In a judgment in 2006 (the Nebula judgment), the Supreme Court ruled that the principle that reciprocal agreements continue during insolvency does not mean that the creditor of such an agreement is free to continue exercising his or her rights under the agreement as if there is no insolvency. The Supreme Court decided that the principle of equality of creditors outweighs the continuation of reciprocal agreements after insolvency. Therefore, the creditor was not permitted to invoice the right of use of a licence after the insolvency. Notwithstanding that this specific case concerned tenancy rights, the Attorney-General introduced a parallel with IP rights. The Supreme Court’s decision in the Nebula judgment was generally interpreted (both in legal literature, as well as in legal practice) as a right of the bankruptcy trustee to actively breach a reciprocal agreement. However, it appears that the Supreme Court has overturned the Nebula judgment in 2014 in its Berzona judgment, and that the right of a bankruptcy trustee to actively breach a reciprocal agreement does not extend to certain types of agreements. From the 2014 Berzona judgment it follows that a distinction can be made between reciprocal agreements in which: performance of the agreement by the bankrupt debtor requires a certain act from the bankruptcy trustee (at the expense of the estate), such as a payment or the delivery of goods; and performance of the agreement by the bankrupt debtor (solely) requires the bankruptcy trustee to honour the creditor’s contractual right of use (eg, a lease agreement). With respect to the second type of reciprocal agreement, the Supreme Court held that the bankruptcy trustee does not have a right to breach such agreements and that the bankruptcy trustee must honour the creditor’s right of use. The Berzona judgment concerned the rights of use of a tenant with regard to the right of the bankruptcy trustee to breach the lease. As was the case with the Nebula judgment, the Supreme Court’s decision appears to be also relevant for other types of reciprocal agreements, such as licensing agreements. In practice this would mean that in the event a licensor is declared bankrupt, the bankruptcy trustee must respect the licensee’s right of use (in principle for as long as the licensing agreement is in place). The position is different as regards the insolvency of a licensee, because any reciprocal agreements should continue during insolvency and an insolvency administrator should be able to continue to exercise the IP rights granted under the licence. This means that, unless provided otherwise in the licence, the opening of insolvency proceedings in respect of the licensee does not impact the rights of the licensor. If the licensee becomes insolvent and the licensee has fully performed its obligations under the licence, the licensee’s insolvency administrator is entitled to claim performance of the licensor. Furthermore, the insolvency administrator may also seek to terminate the licence. To the extent that the licensor has fully performed its obligations under the licence and has a claim against the insolvent licensee, the licensor may seek termination of the licence on the basis of the general provisions of breach of contract, unless the insolvency administrator performs the licence. The licensor’s claim resulting from termination of the licence will be unsecured. As of 28 May 2018, the General Data Protection Regulation (GDPR) has entered into force and effectively replaced the Netherlands Personal Data Protection Act. The GDPR will apply to data processing and data controlling activities conducted by organisations established in the EU. We refer to the European Union chapter on the GDPR for more details, but in summary the new regulation has led to more strict and expansive duties of care for parties involved with the processing and controlling of data (eg, collecting, gathering, storing, categorising and monitoring of data or using data in any other way). The GDPR will undoubtedly have an impact on the Dutch restructuring and insolvency landscape, but it is currently not yet fully clear to what extent. It remains to be seen how the GDPR will be interpreted and applied by relevant national supervisory authorities (in the Netherlands: the Dutch Data Protection Authority), the Dutch courts and the ECJ. Future court decisions or guidance provided by the Dutch Data Protection Authority or the European legislator will at some point in time provide clarity. The current legal uncertainties notwithstanding, pursuant to the GDPR, non-compliance with its principles for data processing activities can result in (quite severe) administrative fines by the relevant national supervisory authority of up to the higher of €20 million or 4 per cent of the annual (worldwide) turnover of the party involved. Whereas prior to the GDPR the Dutch Data Protection Authority did not issue fines (even though it had the authority to do so since 2016), this is likely to change now that the GDPR has entered into effect. In light of the increased risk of administrative fines, a bankruptcy trustee will therefore need to be aware of any obligations both the insolvent company and the bankruptcy trustee have under the GDPR, as this may affect how the bankruptcy trustee must deal with, for instance, taking control of the company’s (electronic and physical) records and the subsequent usage, storage or destruction of those records, using third parties to store personal data (eg, providers of cloud services), the occurrence of data leaks, continuing the business during the insolvency of the company (and thereby continuing the processing or controlling of data), publishing personal data in the three-monthly (public) bankruptcy reports, or selling off personal data (eg, a customer database) to a third party. It will be interesting to see what effect the GDPR will have on these and other insolvency-related issues. Parties, including the bankruptcy trustee may choose to submit disputes to arbitration. The courts in the Netherlands, however, do not have the power to direct the bankruptcy trustee or its counterparty to submit disputes in the bankruptcy procedure to arbitration. There are certain types of insolvency disputes that may not be arbitrated, for example disputes regarding matters of public concern. A distinction should be made between arbitration procedures pending at the time of the commencement of the bankruptcy case and procedures commenced afterwards to solve a dispute related to the insolvency. Arbitration proceedings regarding monetary claims or for breach of contract that are already pending at the time the insolvency proceedings are commenced are suspended through analogous application of the statutory provisions in the Dutch Bankruptcy Act dealing with litigation in a governmental court. If the claim is contested by the bankruptcy trustee, the arbitration may be continued to determine the amount of the creditor’s claim that will be admitted for proof. Arbitration procedures do not typically play a substantial role in the insolvency process, although the bankruptcy trustee in principle is authorised to agree to arbitration on behalf of the estate (ie, claims by the estate are arbitrable). Claims against the debtor that do not involve the estate (ie, that are not aimed at retrieving payment from the estate) may also be submitted to arbitration. Neither the Dutch Bankruptcy Act nor case law directly addresses whether a contested claim for payment in the claims allowance stage, in respect of which no arbitral proceedings were pending when the insolvency proceedings were commenced, is arbitrable. There are differing views in legal literature, and the wording of the relevant provision of the Dutch Bankruptcy Act seems to preclude arbitrability. There is, however, a case of the Dutch Supreme Court in which the court found that a choice of forum for a foreign court was binding upon a bankruptcy trustee where he or she seems to reject or challenge a claim. It is not unlikely that the courts will come to the same conclusion with respect to an arbitration clause and require the bankruptcy trustee to arbitrate the claim. A mortgagee and a pledgee or a security holder under a financial collateral arrangement can foreclose on the secured assets if there is a default in the performance of the secured obligations. For more detail, see questions 44 and 45. Unsecured creditors can levy an attachment (see question 31). An unsecured creditor has to commence legal proceedings against the debtor for recovery of its debt if the debtor is unwilling to pay. Anticipating or pending such proceedings, the creditor may levy an attachment on assets of the debtor to ensure that the creditor can take recourse on assets of the debtor if a successful order is awarded. To levy such attachment, the creditor needs prior court approval, which can in general be obtained quite easily, and the attachment is levied by a bailiff, being a government-appointed person. If the outcome of the legal proceedings is successful, the creditor can foreclose on the attached assets and seize more assets if necessary. The position of an unsecured creditor changes when insolvency proceedings are opened. Upon bankruptcy, unsecured ordinary and preferential creditors are no longer allowed to start or continue actions against the debtor to obtain payment of their claims, and any attachments that are levied are released by operation of law (save during a preliminary ‘suspension of payments’ when attachments will only be released when the preliminary ‘suspension of payments’ becomes definitive). Unsecured creditors must submit their claims to the bankruptcy trustee. Payment can only take place on a pro rata basis. There are no special rules for foreign creditors except that, when a legal proceeding is pending, the court may in rare cases require a foreign creditor who initiated the legal proceeding to provide security for the debtor’s legal costs, which are set by the court and rarely amount to more than several thousand euros. The opening and termination of insolvency proceedings are published in the government gazette and in the national insolvency register. This is an electronic register accessible online, in which all bankruptcies, suspensions of payment and debt reorganisations of natural persons opened after 1 January 2005 have been registered. Typically, it takes from one to several days between a company being declared bankrupt or ‘suspension of payments’ being ordered and publication in the register. To determine whether a company was declared bankrupt before 1 January 2005, it is still necessary to contact the relevant courts to confirm that the register is up to date. In addition, there is a separate register, kept by the court in The Hague, in which foreign insolvency proceedings that have been recognised under the former EU Insolvency Regulation (as replaced by the Recast Regulation as per 26 June 2017) can be registered at the request of a foreign administrator. If a creditors’ meeting is held, this will also be made public in one or more newspapers. The bankruptcy trustee will also separately notify all creditors in writing of a creditors’ meeting. A creditors’ meeting is held if there are sufficient assets to make distributions to the unsecured creditors. During a creditors’ meeting, all claims of creditors are verified and listed. Claims can either be admitted or challenged (see question 35). If it is likely that there will be insufficient assets to distribute to the unsecured creditors, the bankruptcy judge may decide - at the request of the bankruptcy trustee - that it will not be necessary to deal with the unsecured claims and that there will not be a meeting at which claims are admitted or rejected. The bankruptcy trustee will then notify all creditors of this decision in writing and he or she will also announce the decision in one or more newspapers. Once the bankruptcy trustee has prepared a distribution plan for the estate and preferential creditors (see question 38), this will be filed with the court for inspection by the creditors. The filing will be announced in one or more newspapers and to the known creditors by separate letter. In addition, a creditors’ meeting is held in a ‘suspension of payments’ to vote as to whether the provisional ‘suspension of payments’ should be converted into a definite ‘suspension of payments’ to vote on an extension of the definite ‘suspension of payments’ or to vote on the acceptance of a reorganisation plan (see question 8). Currently the debtor is unable to effect a compulsory composition between the debtor and the third-party creditors outside formal insolvency proceedings, but this will most likely change in the future. See ‘Update and trends’ for more information about a pending legislative proposal on the compulsory composition (the Act on Court Approval of Schemes to Avoid Bankruptcy) and what type of meetings related thereto may be held. The bankruptcy trustee in bankruptcy or the administrator in suspension of payments, as the case may be, must report on the state of affairs of the estate at the end of each three-month period. The report has to be filed with the clerk’s office at the district court, where it will be available for public inspection free of charge. The three-month period may be extended by the supervisory judge. Further, each of the creditors can file a petition with the supervisory judge to object against any act of the bankruptcy trustee or to instigate that the supervisory judge orders the curator to perform or refrain from performing any contemplated act, but a creditor cannot otherwise ask for the provision of information. If a creditor’s committee is installed, the committee can ask for information and it has the right to receive that information, which has to be provided by the bankruptcy trustee upon request. The Dutch Bankruptcy Act allows for the appointment of a creditors’ committee by the supervisory judge (see question 22). The creditors’ committee may demand inspection of the books, records and other data carriers relating to the bankruptcy at any time. The bankruptcy trustee must provide the creditors’ committee with such information as the committee requires. The bankruptcy trustee must obtain the advice of the committee on several instances, such as whether to continue the business of the debtor and in respect of the manner of the liquidation and realisation of the estate and the time and amount of the distributions to be made. The bankruptcy trustee is, however, not bound to accept the advice of the committee. A creditors’ committee can have no more than three members. In practice, attempts are made to have the composition of the committee reflect the composition of the group of creditors of the debtor. There are no specific guidelines for the selection of the members of the committee. There are no specific provisions that deal with retaining advisers or the funding of expenses. Under certain circumstances, a bankruptcy trustee may apply to the Ministry of Security and Justice to obtain financing to pursue claims against the directors and supervisory board directors. Any proceeds will be available for distribution to the creditors. Alternatively, a bankruptcy trustee may seek to assign a claim to obtain financing to pursue other claims. Note, however, that the bankruptcy trustee cannot assign his or her own claim based on the statutory anti-abuse provisions. Claims must, as a rule, be submitted to the bankruptcy trustee 14 days prior to the meeting at which creditors’ claims are accepted or rejected (the ‘claims allowance meeting’) (for foreign creditors, a limited exception is possible). During a ‘suspension of payments’, a similar procedure applies, albeit a claim is only admitted with the aim to vote on the reorganisation plan submitted by the debtor. As a result, there is, unlike in a bankruptcy proceeding, no formal procedure available to litigate a claim if it is disputed. The bankruptcy trustee will decide whether he or she will admit or challenge a claim. Other creditors may also challenge the admittance of a claim. If he or she admits a claim, the claim is placed on a list with provisionally admitted claims. If the bankruptcy trustee challenges a claim, that claim will be placed on a separate list. During the claims allowance meeting, all claims are reviewed and when claims are challenged and no solution can be reached, the supervisory judge will refer the matter to legal proceedings on the merits, in which case the validity of the claim will be litigated. There are no specific provisions that deal with the purchase, sale or transfer of claims against the debtor. It is possible that claims that represent an unliquidated amount are recognised in a bankruptcy proceeding. The Dutch Bankruptcy Act determines that claims that do not reflect the amount in euros or claims that are indefinite, uncertain or not expressed in money must be verified for their estimated value (in euros). The estimation should be based on the value on the day that the company was declared bankrupt. If the estimation of the value of a claim is not possible, but there is a likelihood that the value can be determined at a later stage, the allowance of the claim takes place on a preliminary basis. Such claim can be added as pro memorie to the list of known or disputed creditors. The Dutch Bankruptcy Act provides also for the allowance of claims with an uncertain due date or claims that entitle the claimant to periodic payments. In such a case, the claim will be admitted for its value at the date of the bankruptcy order. Claims that become payable within a year of the commencement of the bankruptcy will be considered due as of the date of bankruptcy. Claims that become payable after one year will be admitted for their value one year from the date of the commencement of the bankruptcy. For calculation only, the intervals of instalment payments, any profit opportunity and, if the claim bears interest, the agreed rate of the interest will be taken into account. In principle, to the extent secured by in rem security rights, a claim acquired at a discount secured by security can be enforced for its full value. However, there are limitations on the acquisition of claims with a view to setting off claims at a point in time bankruptcy becomes unavoidable or with a view to bringing the claim under the scope of foreign security rights. Interest accrued after the opening of an insolvency case cannot be claimed by a creditor. Prior to bankruptcy, a creditor can set off a claim if the following requirements have been met: mutual indebtedness; the performance of the obligation corresponds to the claim; the creditor is entitled to perform its obligations (pay its debts); and the creditor’s claim is due and payable. The creditor should give notice of the fact that he or she sets off the claims against the debtor and debts to the debtor. Parties may make different arrangements. During a ‘suspension of payments’ or bankruptcy, the right of set-off is broader. The creditor may set off claims and debts if both the claim and the debt existed prior to the opening of the insolvency proceedings or the opening of a ‘suspension of payments’ or resulted from acts that were performed prior to the opening of the insolvency proceedings or ‘suspension of payments’ respectively. The requirements that the creditor must be entitled to perform its obligations (to pay its debts) and that the claim against the debtor must be due and payable do not apply. A creditor, however, is not allowed to set off claims if it obtained the debt or the claim against the debtor at a time that it knew or should have known that the debtor would go bankrupt or would file for a suspension of payments. No. Dutch law does not recognise a concept similar to ‘priming’. A bankruptcy trustee will first pay estate claims and thereafter the pre-insolvency claims. Estate claims generally are claims incurred by the bankruptcy trustee in performing his or her duties, and that fall in the estate without requiring verification, which just like insolvency costs have priority above the ordinary and preferred debt claims against the debtor. Estate claims are deemed to include debts that give an immediate claim on the estate, because they are claims arising out of contracts continued or made by the bankruptcy trustee. With respect to the pre-insolvency claims, a distinction should be made between preferential claims (the majority of which tend to be held by the tax authorities and social security board) and unsecured claims. Preferential claims can again be subdivided between claims that have a general preference and claims that are preferential only in relation to a specific asset. Furthermore, the rank of preference may vary. Claims that have a general preference include: claims for the costs of the filing of bankruptcy; and taxes and social security premiums. Claims that are preferential in relation to a specific asset include: claims in connection with the preservation of an asset; claims secured by a right of mortgage or right of pledge; and claims in connection with a right of possession. The strict requirements that apply to the dismissal of employees outside bankruptcy do not apply in the case of bankruptcy. This means that, in practice, bankruptcies are regularly used for restructuring purposes. An employee may have two claims with different priority. A distinction should be made between the period before the bankruptcy (pre-insolvency) and after the opening of the bankruptcy. The unpaid salary, pensions and other related benefits deriving from the employment contract that fell due before the bankruptcy are preferential claims with a general preference (see question 38). From the day the company is declared bankrupt, salary, pensions and other related benefits deriving from the employment contract are an estate claim. In addition to the above-mentioned claims of employees, a wage guarantee by the Dutch Employee Insurance Agency (UWV) exists in the Netherlands. When the employer is unable to pay the salary of the employee, the UWV will guarantee the salary for up to 13 weeks before the termination of the employee’s employment contract by the bankruptcy trustee. The salary due over the notice period is an estate claim. Payment of salary during the notice period (a maximum of six weeks) is also guaranteed by the UWV. Holiday allowance and pension contributions that have remained unpaid are guaranteed by the UWV for a period of up to one year. The procedure concerning termination of employment contracts is as follows. The bankruptcy trustee has the right to terminate the employment contracts of the debtor’s employees without obtaining a permit from the UWV, albeit with a notice period of a maximum of six weeks regardless of whether a longer notice period is applicable pursuant to Dutch labour law or has been agreed upon between parties. To terminate any contracts with employees, the bankruptcy trustee requires authorisation from the supervisory bankruptcy judge. This procedure is different for collective redundancies. A bankrupt trustee who intends to terminate the employment contract of 20 or more of the employees within one UWV district within a period of three months has to inform the labour unions and if requested the UWV. In addition, the bankruptcy trustee must consult the works council. The same procedure is applicable when the bankruptcy trustee intends to transfer the ownership of the business. During the suspension of payment, the regular dismissal rules will apply, requiring the trustee to obtain a permit from the UWV or court involvement to effect unilateral dismissals. This in practice makes the suspension of payments procedure a less efficient restructuring tool if a large number of employees are involved. As of 1 July 2015, new legislation has entered into force as a result of which the dual Dutch dismissal system (ie, permit from the UWV or court involvement) was replaced by a one-route system, whereby the route to be followed will depend on the reason for dismissal. With effect from 1 January 2016, a maximum on the wage guarantee by the UWV also applies. A distinction should be made between the employer’s and employee’s part of the pension contribution and whether the premium has fallen due before or after the date of the bankruptcy. Pension contributions falling due before the bankruptcy that have been withheld by the employer from the employee’s salary, but that have not yet been paid to the pension provider, are considered to be directly based on the employment agreement and are therefore preferred claims (see question 39). The employer’s part of the pension premiums will be considered an unsecured claim by the pension trustee against the employer. In practice, the UWV will be confronted with this difference in treatment of the two parts of the pension contribution as pension premiums (both the employer’s and the employee’s part of the pension contribution) are covered by the wage guarantee for a period of one year. Post-bankruptcy pension-related claims, such as unpaid pension contributions that have fallen due after the bankruptcy order, are estate debts based on article 40(2) of the Dutch Bankruptcy Act. Back-service obligations will be considered estate debts if they became payable as a result of an act by the bankruptcy trustee (in practice, as a result of a termination of the employment agreement after the date of the bankruptcy order) and an unsecured debt in all other cases. administrative remedial action, soil investigation and orders under the Soil Protection Act. Dutch case law in respect of remedial costs for a lessor to remove contaminated goods from a property at the moment a Dutch bankruptcy trustee terminates the lease agreement (after bankruptcy of the lessee) has shown that such costs used to be classified as estate claims. On the basis of recent case-law it is probable that claims are no longer to be classified as an estate claim that has priority ranking, but instead as an unsecured claim. There are fines for corporations that are not in the possession of the right permits (for example, under the Soil Protection Act) or that breach environmental laws. Liabilities in relation to pollution and administrative clean-up costs depend on the severity of the pollution and the remedial costs. Case law has shown that, in certain circumstances, other entities within the group could also be held liable for remedial costs. The EU Directive on Environmental Liability (2004/35/EC), as amended by Directive 2006/21/EC, Directive 2009/31/EC and Directive 2013/30/EU, contains an option for national governments to implement measures on the obligation to provide financial security to cover liability risk for environmental damages. No such general measures have been implemented in the Netherlands. However, some specific legislation does include the obligation to provide financial security under certain circumstances, examples (among others) can be found in the Soil Protection Act (in the event of remedial actions at the moment of transfer of land or lease or on the basis of a remedial action plan; however, this then needs to be further specified in a general measure), the Activity Decree Environment Management (underground tank storage) and the Nuclear Energy Act (when dismantling a facility). A distinction should be made between bankruptcy and a suspension of payment. If a suspension of payments is successfully terminated, this means that a reorganisation plan has become binding upon the creditors bound by the plan - in broad terms, the unsecured creditors. Pursuant to the plan, the creditors may receive payment in respect of (part of) their claim. To the extent that the creditors only receive partial payment of their original claim under the plan, the remainder of their claim, as a result of the plan becoming binding, cannot be enforced against the debtor. However, the remaining part of the unpaid claim will continue to exist as an unenforceable claim. The termination of the bankruptcy following acceptance of a reorganisation plan between the creditors and approval of the plan by the court: in that event, the creditors will be entitled to receive payment under and in accordance with the plan and the remainder of their claim will continue to exist as an unenforceable claim. Termination of the bankruptcy following a meeting of creditors and the creditors’ list becoming binding: in this scenario, the assets of the debtor will have been liquidated and distributed to the creditors and the bankruptcy will have terminated. However, the records of the creditors’ meeting and the final distribution list as approved by the court form an enforceable title for creditors recognised at the occasion of the meeting of creditors, which can be enforced by each of such creditors against the debtor for the remainder of their claim following receipt of their distribution pursuant to the distribution list if ever any new assets of the debtor were to surface. 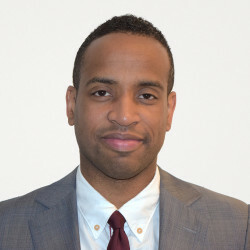 In addition, any party of interest may petition the court to order the former bankruptcy trustee to distribute such new, previously unknown, assets in accordance with the original distribution list or to again apply for bankruptcy of the creditor; however, in that event, new creditors of the debtor will compete for the assets. Termination of the bankruptcy in the absence of assets without a final distribution list having been established: in this scenario, each creditor may again individually seek recourse against any assets that it is able to trace. Also, new applications for bankruptcy may be filed, but if a new application is filed within the three years following termination of the original case, the applicant must provide evidence that there are sufficient assets available to pay for the costs of the bankruptcy. Following termination of the bankruptcy of a legal entity for lack of assets, the legal entity will cease to exist. As an alternative to reapplying for bankruptcy, a creditor may also seek the liquidation of the company if a new asset has surfaced. If dissolution is sought by a creditor, the liquidator will be appointed by the court (see question 6). The bankruptcy trustee is in principle authorised to make payments to estate creditors, the tax authorities and the social security board and certain other preferential creditors or force-creditors. Force-creditors are creditors that have a strong position because of the dependency of the debtor on their services (for example, a supplier whose products are essential to the business). Unsecured creditors can only be paid after the supervisory judge has ordered interim distributions. The bankruptcy trustee will prepare a plan for distributions, which needs to be approved by the supervisory judge. A ‘suspension of payments’ does not affect the rights of secured or preferential creditors. Payments to unsecured creditors can be made at any time, provided those payments are made pro rata. Security over immovable property (including leasehold) and certain registered movables (registered ships and aircraft) is created by means of a right of mortgage. A right of mortgage is created by way of a notarial deed followed by registration in the relevant register (eg, the land register for real property). The rights of the mortgagee are not affected by insolvency proceedings and the mortgagee is therefore able to act as if there were no insolvency proceedings, unless the court has granted a cooling-off period. A cooling-off period may be granted by the relevant court for up to two months, and can only be extended once, by a maximum of another two months. During the cooling-off period, the mortgagee cannot foreclose its security interests without court permission. a non-possessory pledge, where possession of the collateral remains with the pledgor. The deed of non-possessory pledge must either be drawn up in notarial form or registered with the tax authorities for the pledge to be valid. Security over claims is also created by means of a right of pledge. There are two types of pledges over claims: a disclosed right of pledge and an undisclosed right of pledge, depending on whether the debtor of the claim has been given notice of the pledge. The disclosed pledge does not require notarisation or registration. The deed of the undisclosed right of pledge must either be drawn up in notarial form or registered with the tax authorities for the pledge to be valid. The rights of a pledgee are not affected by insolvency proceedings and the pledgee is able to act as if there were no insolvency proceedings, unless the court has ordered a cooling-off period. This may be ordered by the relevant court for up to two months, and can only be extended once, by a maximum of two months. During the cooling-off period, a pledgee cannot foreclose its security interests without court permission. In January 2006, Directive 2002/47/EC on financial collateral arrangements was implemented in the Dutch Civil Code, resulting in the introduction of the financial collateral arrangement, which is a security instrument for cash and financial instruments only between certain categories of parties (in broad terms, ‘financial institutions’). A financial collateral arrangement is created following an agreement between the parties and the execution of a pledge over the cash or financial instruments, or the transfer of the cash or financial instruments to the holder of the security that the financial collateral arrangement purports to create. The rights of the holder of financial collateral are not affected by insolvency proceedings and it can act as if there were no insolvency proceedings, allowing the security holder to liquidate the assets over which it has security or, if agreed as part of the conditions of the security arrangement, retain ownership of the assets provided as security. Any cooling-off period ordered does not apply to assets subject to a financial collateral arrangement. A supplier of goods may protect him or herself by inserting a retention-of-title clause in the supply contract. The clause will state that title to the goods supplied will not pass to the buyer until payment has been received. The seller cannot, however, reclaim the goods when these have been used in a manufacturing process such that accession occurred, nor does he or she have a right in the newly created goods. In addition, Dutch law provides for a statutory reclaim right for the seller of a movable asset. The right to invoke this statutory right expires when six weeks have lapsed after payment was due and 60 days after delivery has taken place. The seller cannot exercise its statutory right to reclaim the goods when the goods have been used in a manufacturing process. During a cooling-off period, the supplier cannot effectively retake possession of the goods without court permission. Furthermore, certain creditors holding the debtor’s movables or immovables are able to invoke a right of retention, allowing them to withhold redelivery of the debtor’s goods until receipt of payment of their claim. The creditor will obtain a preference over the proceeds of sale of the goods if a right of foreclosure is enforced against the goods, pursuant to a judgment granting authorisation to that effect. Outside bankruptcy, creditors can take action against voluntary legal acts performed by the debtor if both the debtor and the counterparty knew or ought to have known that the creditors of the debtor would be disadvantaged as a result of such an act. A creditor - secured or unsecured - that is prejudiced in its recourse against the debtor can void such legal act, which it can do by sending a simple letter; while if the challenge is disputed, litigation will follow where the creditor has to prove that the requirements for the challenge have been met. The creditor can only do so for its own benefit and only to the extent necessary to ensure that it is no longer prejudiced. Note that with respect to voluntary legal acts involving the debtor, which were performed during the year preceding the date on which the creditor initiated a challenge action, rebuttable statutory presumptions are applicable. These presumptions shift the burden of proof from the creditor that initiated the challenge action to the debtor. The presumptions provide that with respect to actions performed (for a consideration) during the one-year period prior to the date that the legal act is challenged, it is deemed that such actions are prejudicial to the creditors of the debtor, and that both the debtor and the counterparty were aware of this. These actions include transactions where the value of the obligation of the debtor considerably exceeds the value of the obligation of the counterparty, or where the debtor and the counterparty are connected. In a ‘suspension of payments’ the administrator does not have a specific statutory right under the Dutch Bankruptcy Act to void transactions. In bankruptcy, the bankruptcy trustee has the right to challenge certain legal acts. if the legal act was for consideration, it is also required that the counterparty to the transaction knew, or ought to have known, that legal act would prejudice the interests of one or more of the creditors. The bankruptcy trustee can void such legal acts, with the effect that the act is deemed never to have occurred. The counterparty will be liable for any damage to the estate if the act cannot (wholly or partially) be unwound. The bankruptcy trustee must prove that the requirements mentioned in the previous paragraph are satisfied in order to annul voluntary legal acts for consideration and legal acts not for consideration. Under certain circumstances, however, there is a shift in the burden of proof to the advantage of the bankruptcy trustee. If certain voluntary legal acts were performed in the year preceding the bankruptcy, two rebuttable statutory presumptions apply that relieve the burden of proof on the bankruptcy trustee. The presumptions provide that, for such acts performed during that one-year period, it is deemed that such actions are prejudicial to the creditors of the debtor, and that both the debtor and the counterparty were aware of this. These acts include transactions where the value of the obligation of the debtor considerably exceeds the value of the obligation of the counterparty, or where the debtor and the counterparty are connected. This results in the presumption that both parties to the transaction knew or ought to have known that prejudice to creditors would be the result of this legal act, thereby satisfying the second and third requirements above. This presumption is rebuttable. First, specific circumstances need to be satisfied in order for the presumption to be triggered. Among these are when legal acts are performed in relation to insiders such as group companies and legal acts that result in a transaction in which the consideration due to the bankrupt’s counterparty substantially outweighs the consideration for the transaction received by the bankrupt. Second, the following circumstances need to be satisfied: the legal act that adversely affected one or more creditors was performed in the year prior to the invocation of the annulment; and in the case when the legal act was for a consideration, the debtor must not have committed itself to that legal act before the beginning of such period (ie, the act was voluntary). In addition, the bankruptcy trustee is able to void legal acts that were performed on the basis of a prior legal obligation, if the bankruptcy trustee can show evidence that: the other party knew that a petition for bankruptcy was already filed at the time that the act was performed, and the debtor was subsequently declared bankrupt; or the performance of the act was a result of consultations between the debtor and the other party with the aim of preferring the counterparty over the other creditors. Please note that the DFSA specifically provides that it is not possible to set aside or annul the transfer of assets, rights or liabilities that have taken place between a failed entity (a bank or investment firm) and a third party, if this transfer is a result of the application of a resolution measure under the new (EU) legislative framework regarding the recovery and resolution of credit institutions and investment firms. This restriction on the pauliana action applies to the possibility to challenge transactions in both a pre-bankruptcy situation and a bankruptcy situation. Insiders should abstain from setting off their claims when the insolvency of an affiliated company is expected. Claims or debts following the transfer of these claims or debts prior to the declaration of bankruptcy or suspension of payments may under certain circumstances not be set off against the estate. A person who has assumed a debt towards the bankrupt or acquired a claim against the bankrupt from a third party is not allowed to set off such debt or claim if, at that time, he or she knew that, in view of the financial situation of the insolvent entity, the bankruptcy or ‘suspension of payments’ of the entity was to be expected (see question 36). In addition, the Dutch Bankruptcy Act limits the possibility of setting off claims that are acquired before the date of bankruptcy, but where the acquiror was not acting in good faith, which is the case if the acquiror knew that the financial position of the insolvent entity was such that bankruptcy or a suspension of payments was to be expected. the controlling shareholder has insight into the lack of recourse available to the subsidiary for the satisfaction of the creditors of the subsidiary, but nonetheless permits the subsidiary to continue to trade. Whether a shareholder has a duty of care to the creditors of a subsidiary or group company depends on the circumstances of the individual case. If there is central cash management through the controlling parent, the parent will generally have a sufficient level of knowledge as to the financial position of the subsidiary for liability to arise. On the basis of case law, the supervisory judge in insolvency proceedings is able to allow consolidated liquidation for two or more entities that are declared bankrupt. This type of liquidation entails that the various bankruptcies are treated as one insolvency procedure. This will only happen in extraordinary cases. When there is a matter of group liability; for example, when more than one company has taken an action that caused damage and it is not traceable which action specifically caused the damage, this liability may be joint and several. This means the creditor of such damage can recover its damage as a whole from any entity that is part of the group. The Dutch Bankruptcy Act does not recognise the concept of consolidated reorganisation. In practice, a bankruptcy trustee or administrator appointed at the parent level may seek appointment at the subsidiary level also and realise a de facto combined administration for administrative purposes. However, from a legal point of view, each proceeding remains distinct and separate from the other, as are the creditors of the various entities. In the event of possible conflicts of interest between the (creditors of the) various entities belonging to a group of companies, the court may appoint different individuals as bankruptcy trustees or administrators of the entities involved, who then among them - with the approval of the court - may attempt to come to an arrangement that takes into consideration that the various companies prior to opening of the insolvency proceedings used to operate as a group; that is, as one economic entity. In a scenario involving a multinational group, a distinction should be made between insolvencies in countries to which the Recast Regulation applies and other non-EU jurisdictions (including Denmark). In cases where the Recast Regulation applies, we note that the Recast Regulation includes a separate section dealing with the insolvency of members of a corporate group. We refer to the chapter on the European Union. With respect to insolvency proceedings opened in countries that do not belong to the EU and where the Recast Regulation does not apply, Dutch bankruptcy law, although it recognises the authorities of a foreign insolvency officer under the lex concursus, does not recognise the effects of the foreign insolvency to such an extent that creditors are prevented from taking recourse on assets located in the Netherlands belonging to the debtor to which the foreign insolvency procedure applies. In Dutch case law, however, it is determined that a foreign insolvency office holder is allowed to invoke its rights in the same way as is available to the foreign insolvency office holder under domestic insolvency law, including over assets that are located in the Netherlands. The office holder is also allowed to sell these assets and consider the proceeds part of the assets of the foreign bankruptcy estate. Notwithstanding that the foreign insolvency procedure’s seizure is regarded as having only territorial effects of the foreign insolvency, the effects are de facto recognised in the Netherlands. As a result of the Recast Regulation, the opening of insolvency proceedings in one of the EU member states (except for Denmark) and the effects thereof are also directly recognised in the Netherlands without further formalities. The concept of main and secondary insolvency proceedings still exists, but the Recast Regulation now also introduces the concept of synthetic secondary proceedings, whereby local creditors can be protected without the need for actual secondary proceedings to be commenced. Please refer to the chapter on the European Union (we note that pursuant to the Recast Regulation secondary proceedings no longer need to be liquidation proceedings and that therefore a Dutch suspension of payments now also qualifies as a secondary proceeding under the Recast Regulation). The effects of the opening of insolvency proceedings in other non-EU jurisdictions (including Denmark, which has opted out of the Recast Regulation) are only to a certain limited extent recognised in the Netherlands. This recognition may be challenged if the principles of due process and fair trial have not been observed in the foreign procedure. In cases where there was an absence of a treaty and where the predecessor or the Recast Regulation did not apply, the Dutch Supreme Court has consistently decided that foreign insolvency proceedings only have a ‘territorial effect’, meaning that they do not affect the debtor’s assets located in the Netherlands and the legal consequences attributed to the bankruptcy pursuant to the bankruptcy law of such foreign country cannot be invoked in the Netherlands to the extent that it would result in any unpaid creditors no longer being able to take recourse on the assets of the debtor located in the Netherlands (either during or after the relevant foreign insolvency proceedings). This does, however, not imply that the powers of a foreign insolvency office holder are not being recognised in the Netherlands. In Dutch case law it is determined that a foreign insolvency office holder is allowed to invoke its rights as available pursuant to the foreign domestic insolvency law, including over assets that are located in the Netherlands. The office holder is also allowed to sell these assets and consider the proceeds part of the assets of the foreign bankruptcy estate. Notwithstanding that the foreign insolvency procedure’s seizure is regarded as having only territorial effects of the foreign insolvency, the effects are de facto recognised in the Netherlands, because the foreign insolvency office holder is able to exercise its power under the lex concursus. Note, however, that the effect of foreign insolvency proceedings (and any actions by a foreign insolvency office holder related thereto) on assets located in the Netherlands can be set aside by a Dutch court, if the court determines such proceedings to have been in violation of public policy. The Netherlands has not adopted the UNCITRAL Model Law on Cross-Border Insolvency and this is not currently under consideration. Creditors are allowed to individually take recourse against the debtor’s assets situated in the Netherlands, notwithstanding the opening of insolvency proceedings against the debtor abroad. Foreign creditors are, in general, not treated differently from creditors that are incorporated or residing in the Netherlands. The old EU Insolvency Regulation did not contain a provision on COMI (although its concept was discussed in the preamble of the regulation). The Recast Regulation introduces a formal definition in article 3(1). COMI is defined as the place where the debtor conducts the administration of its interests on a regular basis and which is ascertainable by third parties. In addition, the Recast Regulation introduces a rebuttable presumption that a company’s COMI will be the place of its registered office, in the absence of proof to the contrary. To address concerns regarding ‘forum-shopping’, the Recast Regulation also contains provisions whereby if a debtor’s registered office has shifted in the three months preceding the filing for insolvency proceedings, the existing rebuttable presumption will no longer apply. The Recast Regulation applies the concept of COMI to each individual debtor and not to a group of companies, which can all have individual COMIs. In accordance with European Union law, Dutch courts also determine the COMI for each individual company within a group of companies. This became apparent, for example, in a judgment in which the Dutch court decided that the COMI of three subsidiaries of a Dutch company in another EU member state was not relevant, as it looked at the debtor (the Dutch company) for the determination of the COMI as a separate legal entity - even if the debtor has an interest in these activities of its subsidiaries. However, in Dutch practice, occasionally one bankruptcy trustee may be appointed for various subsidiaries within a group that all have their COMI in the Netherlands to facilitate the group being restructured as a single unit. We refer to the European Union chapter, which discusses the Recast Regulation in more detail. the fact that the company did not have a visiting address in the Netherlands and that monies were lent through the company (using foreign bank accounts) to avoid lending in another EU member state also did not lead to the COMI no longer being in the Netherlands. While the introduction of a formal COMI definition in the Recast Regulation will mean that the past decisions of the Dutch courts on this topic will become less relevant for the initial determination of the debtor’s COMI, it is not unlikely that past decisions will still play a role in cases where the presumption cannot be relied upon and more evidence about the debtor’s COMI must be presented or where the chosen COMI is challenged. In respect of the recognition of foreign insolvency proceedings, see question 50. The Recast Regulation provides an obligation for cooperation and information exchange between insolvency office holders. See further the chapter on the European Union. Cooperation between domestic and foreign courts or domestic and foreign insolvency administrators is currently not (yet) explicitly dealt with in the Dutch Bankruptcy Act. A legislative proposal for an implementation act that will align the Dutch Bankruptcy Act with the Recast Regulation will most likely address these legislative gaps (see ‘Update and trends’). Currently the Dutch Bankruptcy Act does not prohibit coordination between procedures, and in practice coordination or cooperation does occur and cross-border insolvency agreements (protocols) have been used. An example of cooperation between different countries (including the Netherlands) in a cross-border insolvency is the insolvency of the Lehman Group. A cross-border insolvency protocol was agreed with the aim of cooperation between the trustees and liquidators of the different entities of the Lehman Group, in view of the common interest of the creditors. Furthermore, the aim of the protocol was to reduce the costs of settlement to a minimum and to share information. The bankruptcy trustee for Lehman Brothers Treasury Co BV signed up to the protocol as he considered this to be in the best interest of the Dutch entity’s creditors (no court consent was required). Dutch trustees in bankruptcy do enter into cross-border insolvency protocols. However, to date, there have been no cross-border insolvency protocols entered into between Dutch courts and foreign courts. Also, no joint hearings have been held to date, although the Dutch (lower) courts have recognised the voting outcome of Chapter 11 hearings in the United States for the purposes of voting on a reorganisation plan in a Dutch suspension of payments. In 2012 the Dutch legislator announced a legislative overhaul of Dutch insolvency law under the name Herijking Faillissementsrecht (the ‘Re-assessment of Bankruptcy law’). This legislative programme aims to amend and modernise Dutch insolvency law. Legislative proposals that focus on the prevention of bankruptcy fraud, the negative social and economic effects caused by it, and the strengthening of the of position of the bankruptcy trustee have entered into force in 2016 and 2017 and have resulted in, among others, a broader civil and criminal liability of (supervisory) directors and in statutory duties for the insolvent company (including its directors and officers) or third parties in control or possession of the insolvent company’s administration to provide information or cooperation to the bankruptcy trustee. The legislative proposals regarding the enhancement of companies’ ability to reorganise are still pending: the Continuity of Companies Act I regarding the pre-pack, the ‘Act on Court Approval of Schemes to Avoid Bankruptcy’ (formerly the Continuity of Companies Act II) and the Continuity of Companies Act III regarding the continuation of business in bankruptcy. The legislative proposal aiming at the modernisation of bankruptcy proceedings has been adopted and will enter into force in early 2019. The legislative proposal that introduces a legal basis for the pre-pack sale (the Continuity of Companies Act I) has been adopted by the Lower House in 2016 and is currently pending before the Dutch Senate. The ECJ’s decision in the Smallsteps case (C-126 16) on 22 June 2017 made it clear that the pre-pack procedure in that particular case could not be viewed as a procedure upon which the exceptions to the rules concerning the transfer of undertakings applied. In a formal response to questions from the Dutch Senate regarding the possible implications of the Smallsteps case for the current pre-pack legislative proposal, the Minister of Security and Justice stated in September 2017 that the Smallsteps case did not necessitate an amendment of the existing legislative proposal. According to the Minister of Security and Justice, if a post-bankruptcy relaunch of the debtor’s business is preceded by and prepared in a pre-pack procedure, the application of the employee protection rules concerning the transfer of undertakings should be determined on a case-by-case basis by either the bankruptcy trustee designate or a court (as the case may be) in accordance with the ECJ’s decision in the Smallsteps case. Since the publication of the ECJ decision, two decisions have been rendered by two different Dutch courts of appeal that have shed further light on the implications of the Smallsteps case on the Dutch restructuring landscape. 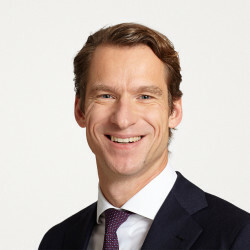 In mid-2018, a Dutch court of appeal held that the Smallsteps decision did not mean that all post-bankruptcy restarts of insolvent companies (which have been prepared prior to the formal bankruptcy - whether or not in the form of a pre-pack) are automatically excluded from application of the exception to rules concerning the transfer of undertakings. According to this court of appeal, the assessment of whether the conditions set out in Smallsteps decision are satisfied, should occur on a case-by-case basis, taking into account all relevant facts and circumstances. In this case, the relevant circumstances led to the conclusion that the bankruptcy proceedings were initiated with the view to liquidate the company’s assets. In addition, there was supervision by an authorised government authority from the moment of the liquidation order. Therefore, the union’s claims - which were based on the assertion that the conditions regarding the exception to the rules concerning the transfer of undertakings were not met - were ultimately rejected by the court. Around the same period in a different case, another court of appeal also held that whether the ruling in the Smallsteps case can be applied, should depend on all facts and circumstances of each particular case. In that specific case, there were no facts indicating that the bankruptcy was aimed at continuation of the business. Therefore, the court held that that the rules concerning the transfer of undertakings did not apply. This means that the use of a pre-pack is still possible and confirms that the application of the employee protection rules concerning the transfer of undertakings is to be determined on a case-by-case basis, taking into account all the relevant circumstances of the individual case. Earlier in 2018, the Minister for Legal Protection - after discussions with various stakeholder groups - already stated that in practice there is still a need for the Continuity of Companies Act I and has requested the Senate to continue the treatment of the legislative proposal. It was also announced that new legislation under employment law regarding the position of employees and employee rights in a relaunch following bankruptcy is being investigated. At the same time, the current protection scheme for employees when a suspension of payments has been granted to the company or employer is being reconsidered in light of the precarious financial situation of the company. Finally, employees’ participation rights in insolvency are a topic of debate, focusing on strengthening the position of the works council in insolvency situations. The original legislative proposal, which was announced in 2014 as the Continuity of Companies Act II, has been significantly amended and substantively a new proposal was launched in September 2017: the ‘Act on Court Approval of Schemes to Avoid Bankruptcy’. The act will introduce a fast and efficient procedure to restructure the company’s business through a scheme between the company and all or certain of its (secured) creditors or shareholders. Through the scheme a release of liability of a surety, co-debtor or guarantor (including a parent company that is jointly and severally liable for debts of its subsidiary) can also be effected. A scheme can be initiated by a debtor who foresees that he or she will no longer be able to pay his or her debts. If the debtor does not initiate a composition but it is clear that this would be the only way to avoid an imminent liquidation, or if the initiated composition cannot be seen as a serious attempt or if it has been rejected, a creditor can also initiate a composition. According to the new proposal, proposing a scheme is considered to be a last-resort restructuring tool; the debtor is expected to seek other out-of-court settlement solutions first, before initiating a compulsory composition. After initiating a scheme, the debtor has the opportunity to request the court to order a stay. During this period, any third-party rights to seek recovery against assets of the debtor or to repossess assets under the debtor’s control cannot be exercised without court-permission. Creditors may seek the appointment of an independent expert to draw up a scheme. The new proposal provides for the possibility for the debtor to propose to its counterparty in an executory contract a modification of such contract. If the counterparty does not agree, the debtor can terminate the contract, in which case the counterparty obtains a claim for damages against the debtor. The proposed composition can also entail a modification of the rights of shareholders, including a ‘debt for equity swap’. Provisions in agreements that result in an automatic termination or permit termination because of a bankruptcy or similar procedure, will remain ineffective, according to the new proposal. Creditors or shareholders will be divided into different classes if their rights or interests are so different that they cannot be deemed to be in a comparable position. In any event this includes creditors or shareholders that have a different rank in bankruptcy. Only the creditors or shareholders whose rights or claims are affected by the proposed composition are allowed to vote. A class has accepted the composition if the group of creditors who vote in favour of it, represents at least two-thirds in value of the total value of claims in that class, or, in case of shareholders, if that group represents at least two-thirds of total votes within that class. The new proposal no longer requires an absolute majority of the creditors or shareholders within a class. If at least one class accepts the composition, the debtor is able to request that the court confirms the composition, which means the composition is binding on all creditors or shareholders affected by the scheme, also including those who voted against it. The court will among other refuse if (i) the debtor did not fulfil the statutory requirements regarding the voting process and notification, or (ii) at the request of one or more creditors, on the basis of one or more grounds for refusal (eg, the ‘creditor’s best interest-test’). If not all classes have voted in favour of the proposed composition, the court will refuse the confirmation of the composition if, under the proposal the creditors would receive less than upon liquidation (‘best interest of creditors test’) and the going concern value of the company would not be distributed among the classes of creditors and shareholders in accordance with their statutory ranking (thereby introducing the ‘absolute priority rule’). Under the new legislative proposal, it is not possible to appeal against the decision of the court. In 2018, the draft proposal again underwent several amendments and is currently being finalised. A final proposal is expected to be submitted to Parliament at the end of 2018 and if approved by Parliament it will enter into force in 2019/2020. The legislative proposal for the Continuity of Companies Act III will provide means to facilitate the continuation of businesses in bankruptcy, such as a duty for suppliers to continue to supply in bankruptcy. It is aimed at improving the ability of the bankruptcy trustee to efficiently settle the bankruptcy and limit the damage for all parties involved as much as possible. It also considers amendments to the suspension of payments procedure. This proposal is still in the preparatory phase. This legislative proposal focuses on achieving a more efficient and transparent insolvency procedure in which the bankruptcy trustee can exercise his or her duties as administrator and liquidator more easily and effectively. In addition, the proposal aims to better inform creditors and other parties involved of the progress of the procedure, thereby improving these parties’ ability to protect their interests. Proposals include the abolition of provisions that prevent the use of electronic communication. The proposal has been approved by the Senate in June 2018 and is expected to enter into force in early 2019. The Dutch Implementation Act EU Insolvency Regulation amends the Dutch Bankruptcy Act in order to align with the Recast Regulation, which came into effect for insolvencies commencing on or after 26 June 2017, and mostly concerns technical amendments. The Implementation Act entered into force in December 2017. Recently, the Dutch Supreme Court has asked the ECJ for a preliminary ruling regarding the qualification of anti-avoidance/fraudulent conveyance actions. The bankruptcy trustee in this case had filed a tort claim that he in his capacity as bankruptcy trustee brought on behalf of the joint creditors of an insolvent estate for compensation against a third party who acted unlawfully against the joint creditors, a ‘Peeters/Gatzen vordering’. The Dutch Supreme Court referred the matter to the ECJ with respect to the question of whether a claim, brought on the basis of tort, for the benefit of the joint creditors arises directly from rules regarding insolvency proceedings, in which case the Insolvency Regulation (recast) applies, or is based on general civil law rules, governing claims generally, in which case the Brussels I Regulation applies. Because of the cross-border element, it is particularly relevant in this case to determine what the nature of the claim is, because that will decide which court has international jurisdiction and which law is applicable. It will be interesting to see how the ECJ will decide on this matter of international conflict of law rules regarding insolvency. In response to pressure from the business sector in the Netherlands, in July 2018 the Dutch Ministry of Justice and Security has published a draft legislative proposal that will make ineffective any contractual provisions that limit parties’ ability to transfer or pledge receivables. The proposal has been prepared in consultation with several organisations from the business sector in the Netherlands, including the Confederation of Netherlands Industry and Employers, the Factoring & Asset Based Financing Association Netherlands and the Dutch Banking Association. The aim of the proposal is to stimulate credit lending to small and medium-sized companies. Currently, a limitation on pledging receivables is often included in standard contract terms and prevents companies from transferring and pledging their claims on third parties to banks or other lenders. By removing this obstruction, the Dutch government hopes to stimulate investments, innovation and growth as it should result in an increase of receivables that can serve as collateral for financing. In addition, the intended ban should enhance the competitive position of the Dutch business sector in comparison to several other European countries. The consultation on the legislative proposal runs until August 2018. The legislative proposal for the Act Recovery and Resolution of Insurers reinforces and expands the current framework for the recovery and resolution of insurers. The proposal amends the Dutch Financial Supervision Act and the Dutch Bankruptcy Act and provides the Dutch Central Bank with more resolution tools and a wider authority in order to be able to take action on an individual basis regarding failing insurers. The guiding principle is that no creditor of a failing insurer should be worse off than in insolvency. The resolution tools are based on the framework of resolution tools for banks and investment firms. An important element of the proposal is, for example, the bail-in tool. Contrary to the bail-in tool for banks however, bail-in under the proposal is aimed at the protection of the interests of policyholders and beneficiaries (not at saving the insurer). The legislative proposal was adopted by the Dutch Lower House mid-2018 and will need to be approved by the Senate, before entering into force. The legislative proposal for the Act of the Modification of Bank Creditor Hierarchy implements Directive (EU) 2017/2399, which amends the Bank Recovery and Resolution Directive as regards the ranking of debt instruments in insolvency. The legislative proposal introduces a new rank in insolvency for unsecured debt instruments in insolvency in accordance with the requirements of Directive (EU) 2017/2399. The legislative proposal is currently pending before the Dutch Lower House. Since the implementation of Directive 98/26/EC on settlement finality in payment and securities settlement systems (the Settlement Finality Directive) in 1999, the Dutch Bankruptcy Act contains specific provisions that ensure that insolvency proceedings against a participant in a settlement system do not retroactively affect the rights and obligations of other participants, nor their reliance on the normal financial guarantees inherent to a transaction in the system. For instance, the Dutch Bankruptcy Act specifically provides that the bankruptcy of a participant (eg, a bank) in a payment or securities settlement system (eg, TARGET2) will not have retroactive effect with respect to certain settlement transactions (eg, payments, set-off, netting, and other transfer orders) involving the bankrupt participant, nor will the granting of a cooling-off period affect the ability of a participant to seek recourse against assets of the bankrupt participant. Currently, this protection only applies in relation to settlement systems that are (i) specifically identified as such by the Minister of Finance, (ii) governed by the laws of an EU member state, or (iii) specifically acknowledged as such by an EU member state and registered with the European Commission. This effectively means that a Dutch bank participating in a settlement system that does not meet these criteria would not be able to guarantee to its counterpart that settlement transactions would not be retroactively affected if the Dutch bank were to become the subject of insolvency proceedings. With an aim to lift this disparity and to improve the competitiveness of Dutch financial institutions operating in the international market, the Dutch legislator has proposed to amend the Dutch Bankruptcy Act by expanding the definition of settlement system (now also including systems in other non-EU countries with adequate supervision) and by having the exemption on the retroactive effect of a Dutch bankruptcy judgment apply to all settlement transactions (whether or not those transactions occurred within a settlement system). This legislative proposal is still in the preparatory phase.